The Ford C-Max is a terrific family car, that is becoming more and popular with the car buying fraternity since the first one rolled off the line back in 2010..
With sliding doors, seats that lay down flat, a great boot...and of course uber efficient Diesel and Petrol engines, then its not surprising at all. With reasonably low insurance, and parts and spares that are readily accessible in most motor factors in Essex it isn't really a surprise that the Ford C-Max has been so popular. Low cost and effortless motoring is what we all want really. 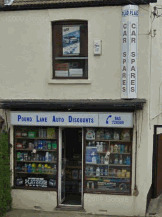 So with a wide range of places that you can go for your Ford parts, why should you try out Pound Lane Auto Discounts? Well read on, and hopefully you will be driving your C-Max down to see us shortly. Pound Lane Auto Discounts or Car Spares Essex as we are known online, have been providing the drivers of Essex, with the best prices of parts and spares since way back in 1981. And over the last 30 years, we have grown to focus not just on Ford parts, but for parts for all range of makes and models that you might have in your Essex garage today. You can see the whole list of vehicles that we can cater for here. But when it comes to the C-Max, you are obviously keen to check out the models that we can get spares and parts for. The list below gives a good representation of the Ford C-Max's that we can supply both on-line and in store. Right This Sounds Ok But What C-Max Parts Do You Sell? Well, we will have to be honest as there will be parts for your Ford C-Max that we can't get. The list below shows the parts that we can get not just for your C-Max, but for all makes and models of cars that you can see in Essex today. 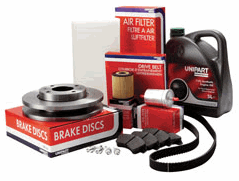 Do You Deliver Ford C-Max Parts To Your Customers? So although it might be wonderful to have your C-Max parts whizzing their way to you, alas it's not going to happen. The A127, A13 and A130 all run about two minutes away from us, which means it will only take about 20 minutes for you to get the best Ford parts around.